Become a big cat conservation volunteer in the stunning Kanaan region of Namibia, helping to ensure that the carnivore’s habitat, and the habitat of all of the other animals that call the region home, is safe for years to come through crucial research. Namibia is home to a wide variety of large wild carnivores, and huge numbers of these animals live outside protected conservation areas often resulting in the carnivores being killed by farmers who believe them to be a threat to their livestock. Due to this, carnivore numbers are beginning to fall and sadly, many species are becoming endangered. The decline in carnivore numbers has placed Namibia in the centre of a battle to ensure these beautiful animals are around for future generations. The team at the Carnivore Conservation and Research Project in Kanaan are working hard, with the help of volunteers, to ensure these species are not faced with further threats and ultimately, extinction. The research site located in the Namib "sand sea", alongside the stunning sand dunes and imposing mountains was previously utilised as a sheep farm, until the team at the Namibia Wildlife Sanctuary acquired the land at Kanaan in 2014, and began the transformation to make it the wildlife conservation project it is today. The aim at Kanaan is to establish an unfenced wildlife reserve in order to provide a refuge and safe haven for an extensive array of endangered species, protecting them from the dangers of human-wildlife conflict. Species that can be found here include brown hyena, spotted hyena, cheetah and leopards, as well as an extensive variety of desert-adapted animals who also call the area home. During your stay, you will be able to help record statistical data on the wildlife species resident here, ultimately contributing to the long-term management of the area and the data you help to gather on this project will help the in-country team form a comprehensive strategy going forward on how to best deal with human-wildlife conflict in the region, so you know the work you are doing will make a difference! Volunteers join the researchers in using a GPS unit to map anything from important wildlife observations to habitat features and infrastructures throughout the Kanaan Region, including roads, waterholes, and fences. Once collected and collated, the positional information will continually be processed into up-to-date reserve maps which are used by the management team to better understand the region and how to provide the best care for the local wildlife. Mapping also gives you an amazing chance to encounter a whole host of amazing wildlife when walking through the terrain. Collaring animals with GPS tracking is only one piece of the puzzle. Direct observations are sometimes required and this is done via telemetry tracking. This gives you the chance to head out into the field to track collared animals and make direct assessments on their health and location. Having the chance to track down wildlife and see it in its natural environment is a once in a lifetime opportunity, but be prepared to do a lot of walking as the animals like to venture across long distances! Please note that this is not a guaranteed activity. The herbivores that roam in the vast Namib desert are a crucial part of the African ecosystem and as a volunteer, you will be helping the team to ensure that populations of these animals are strong and healthy. You will be participating in regular game counts, either on horseback or by car, and will be helping to answer some intriguing conservation questions such as "How does wildlife utilise this landscape on a seasonal basis?" and "How does this correlate with the predator populations?" You will also be participating in setting up and monitoring the “additional eyes” of the region - camera traps. These cameras record 24/7, every day of the year, often observing species of wildlife that are sometimes overlooked. Data entry and sorting is included to process all the Camera Trap images collected. This helps the research team determine which species are present and where they are most active, especially for animals that are elusive or entirely nocturnal. You will have the opportunity to enjoy lots of hiking and exploring through the breathtaking landscapes of Kanaan, learning about the native flora and fauna as a group with the project staff. In such a beautiful area, this is a popular activity for all volunteers and it will open your eyes to the vastness and variety of the Namibian landscape. This is a great opportunity to take some incredible pictures in front of the sand dunes! 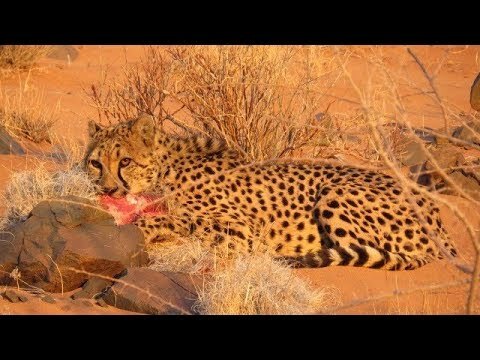 Kanaan is home to 2 rescued cheetahs from the Namibia Wildlife Sanctuary, who spend their time in a seven-hectare enclosure on the red sand dunes of the project site. As a volunteer, you will be involved in the food preparation, feeding and caring of these cheetahs, as well as enclosure cleanings on a regular basis. Caring for these cheetahs has become a vital aspect of the work here – a truly inspiring opportunity that is not to be missed! For this conservation area to function properly, several maintenance activities have to be carried out, especially in very arid areas like Kanaan. What’s more, water holes need regular maintenance and will need to be controlled for damage. Removing fences to create a larger area in which wildlife can roam is a crucial element of the project allowing animals to move around freely. You will be expected to assist in a wide range of activities whilst here – prepare to get your hands dirty! Sun Downers are one of the volunteers favourite activities on this project and they give you the chance to simply sit back and relax whilst taking in the breathtaking scenery of the sun setting over the dunes. You won't see anything like this at home! Occasionally, volunteers may even have the chance to enjoy a camp-out, star gazing as you fall asleep beneath the twinkling African sky! You may also have the chance to enjoy a sunrise breakfast and experience some awesome sandboarding on the dunes! Animal collars fitted with GPS trackers are used to monitor carnivore activity, this data is also used for scientific studies. There may arise an opportunity to assist the project team with replacing collars. Please note that this is not a guaranteed activity and will only take place when deemed necessary as the project team aim to be as non-invasive to the wildlife as possible. Please note itineraries are subject to change and the below is simply a rough guideline for a two week stay. Upon arrival at Windhoek Airport you will be met at arrivals and transferred to your accommodation, and the journey to here takes approximately 45 minutes. Upon arrival, you will spend time settling in and resting up for your transfer to the Kanaan site the following day. Today you will transfer to the carnivore research site at Kanaan. This is roughly a 7-hour drive, and upon arrival, you will meet the facilitators before having an orientation talk followed by dinner in the evening. The rest of the evening is at your leisure, you may want to rest up before beginning the project activities tomorrow! For the next 2 weeks, you will be based at Kanaan and will have the chance to take part in some incredible activities. With a firm focus on data recording, you will be a part of the team that also help with mapping, radio telemetry, game counts, maintenance/defencing and carnivore feeding amongst other activities. Today is your last day at Kanaan. After enjoying a big breakfast you will be transferred back to your accommodation, where you will spend your final evening with the other volunteers and have the chance to swap stories and share your photos. Today, after enjoying an activity packed two weeks on the project, you will transfer back to Windhoek airport to begin your journey home or onward travel plans. Select a duration below to see the available start dates. 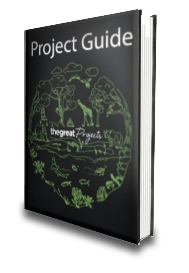 The aim of this project is to preserve and conserve the Kanaan ecosystem whilst offering willing and able people the chance to assist in the process. Volunteers play a big role in helping to gather the information the project needs to continue to grow its database on the local wildlife, as multiple sets of eyes are better than one! A continuing process, the team at Kanaan focus a lot of their time on researching the numbers, health, and movements of the local spotted hyena populations. Over the past 4 years, the team from Kanaan (and the Namibia Wildlife Sanctuary as a whole) have assisted in the instillation of camera traps in regions in Southern Namibia in partnership with the Brown Hyena Research Project and Namibia Wild Horse Project. Information gathered from these camera traps and site explorations will be used to; determine whether the spotted hyena are causing conflict in the local area, gather data on the population dynamics of the spotted hyena at each site, determine their prey preferences and to better understand these elusive animals. With an increased knowledge of human-wildlife conflict being caused by the hyenas, the team hopes to reduce this problem in the area. August's Offers - See Which Projects Are Now Available With 10% Off! See which of our fabulous volunteer opportunities are going on offer in August, and find out how you can make a difference to the lives of animals across the globe. Ever considered volunteering with animals? An increasingly popular trend, volunteering with animals has the potential to transform your mind, body and soul. Check out just what you could gain should you choose to volunteer with animals in Namibia! At Kanaan, you will be staying in a beautifully renovated farmhouse with shared rooms with ensuite. Depending on the time of year, tented accommodation may also become available. The guesthouse does have electricity, but you will need to bring your own South African socket adapters to charge electric appliances. 12 volunteers can be accommodated at any one time, which means that you are guaranteed an intimate small group experience. Whilst at the research site there is an opportunity to upgrade your accommodation. The upgraded accommodation is a newly built tented lodge. The rate for this upgrade is £30 per person per night for a double room and £35 per person per night for a single room. Three meals a day are provided. Breakfast includes toast and cereal; lunch includes pasta, wraps, burgers or stir-frys; and dinner includes meat, fish, vegetables, rice, potatoes, and pasta. On weekends, there is often a braai (barbecue) in the evening. Tea, coffee, and water are freely available throughout the day. A vegetarian option is always available – however, please let us know your dietary requirements upon booking. Please note that, given the remote location of Kanaan, some fresh produce may only be available seasonally. Please also note that your own snacks and drinks should be purchased before you arrive at Kanaan. The activities you take part in during this project are not overly exerting, but it is advised that all participants be fit enough to walk between 10 and 15 kilometres on a daily basis, through rough terrain, and in high temperatures. There is no favourable time to volunteer regarding wildlife. Weather, however, can impact some people’s decision and this is explained in more detail below. October – April: In these months temperatures can hit up to 40°C and as a result volunteer working times may be moved to a later in the day to avoid the sun at its peak. May – September: In the winter months temperatures will reach around 25 °C in the day time, but at night they can fall below 0°C so please be aware of this! You will need to fly into Windhoek International Airport (also known as Hosea Kutako International Airport) on your project start day between 7am - 5pm, where you will be met on arrival and transferred to the Namibia Wildlife Sanctuary Project Site or a local accommodation site if the Sanctuary is full at the time of your visit. This transfer will take approximately 45 minutes. There are several daily flights here from the South African hub cities of Johannesburg and Cape Town, as well as daily flights from a range of international destinations. The transfer to Kanaan takes a further 7 hours, and is also included in the price of the project. Both are private transfers arranged by the project staff. 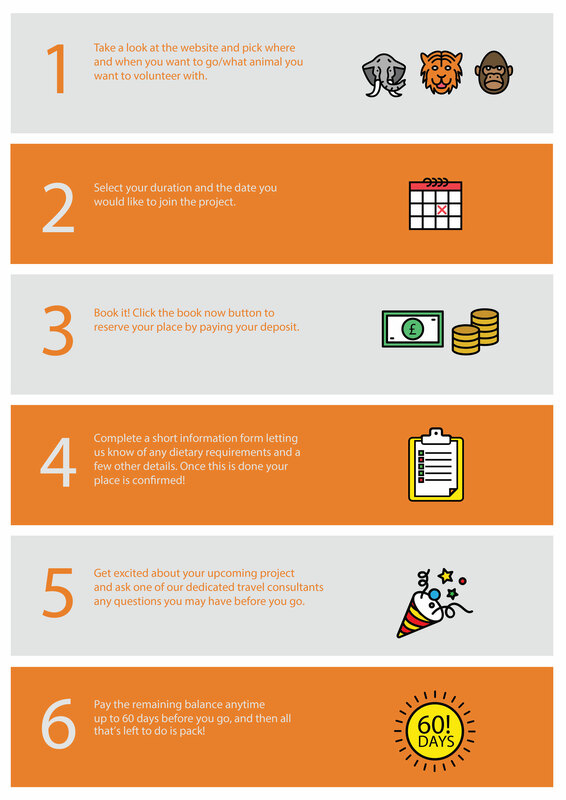 In order to join this project, you will need to apply for a work visa before travel. We will provide further information and documents for this upon booking. We can also put you in touch with an agent in Namibia who can organise this for you. The currency in Namibia is the Namibian Dollar, but South African Rand is also accepted. The exchange rate is around 1 NAD = 0.06 GBP, 0.1 USD, 0.07 EUR. Please note exchange rates are subject to change. For up-to-date rates, click here. Carnivore feeding, hiking at Kanaan, staying at the bush camp, hearing the lions roar and waking up to the views! I will take these memories away forever. The most incredible experience in my life. I experienced many unforgettable moments: in particular, cheetah feeding in Kanaan, and the night in the desert! My favourite moment, that I will never forget, is seeing a hyena make a fresh kill. My favourite memory was the magnificent landscape of Kanaan, and when I first saw the breathtaking view of Oryx running on a sand dune kilometres away! My favourite moments include feeding & being close to semi-wild cheetahs; visiting semi-wild meerkats; and tracking wildlife footprints. All of these were incredible! Namibia is a country of extreme and often overwhelming beauty, with countless rolling expanses of breath-taking desert and grassland. It is renowned for its diverse and fascinating wildlife, boasting many populations of the African continent's most endangered species, including the cheetah. Namibia is also home to the incredible Fish River canyon, Etosha National park and the mesmerising Sossusvlei, the highest sand dune collection in the world.Situated at the edge of the Namib Desert, Neuras (where the project site is located), is a small settlement in the Khomas region of central Namibia, in close proximity to the Namib-Naukluft National Park. The surrounding area is sparsely populated and is a common stop-over for tourists travelling between Soussevlei and Namibrand and Windhoek or Walvis Bay. The area consists of open grass-plains speckled with camel thorn trees, rough mountain ranges with stunning, majestic vistas and expansive dry riverbeds. The region is also home to ancient canyons, incredible rock-formations and five natural fountains.